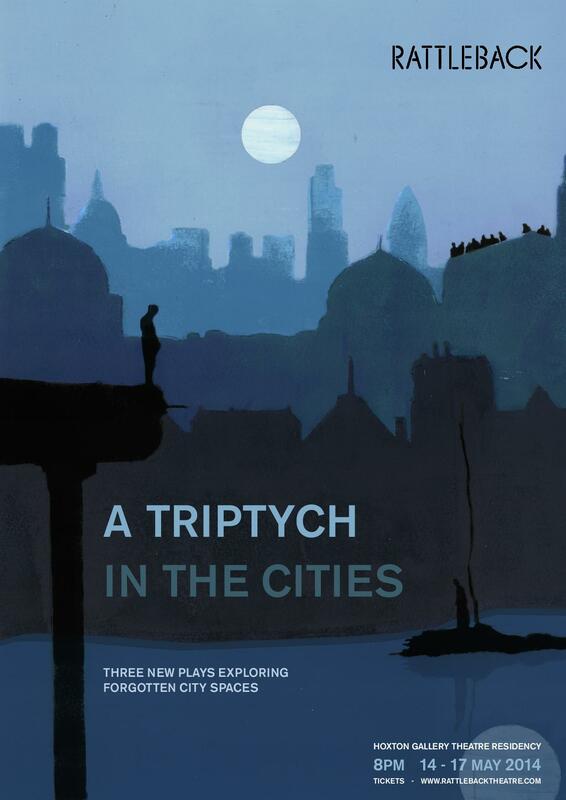 I had high hopes for Rattleback’s A City In The Triptych: a young international cast in three new plays performed in Shoreditch’s atmospheric Hoxton Gallery. However, these overly-long plays demonstrated little more creative innovation than could be expected from a mediocre drama A Level performance. First up was 404: This Play Has Become Corrupted and Cannot Be Opened, a new play by Liam Patrick Harrison. In a promising opening scene, Natasha Atherton and Jed Shardlow played a dysfunctional couple, unable to agree on the plot of the film they were meant to be producing together. Unfortunately, with the introduction of an unexplained couple of runaways and a predatory cinematographer, the play took a turn for the wilfully disastrous. The plot disintegrated as all the characters proceeded to variously assault each other and hold mostly inaudible arguments throughout the remainder of the piece. In addition, Anatoli Tsempa, unconvincing as the play’s ‘director’, occasionally stepped in from the sidelines at the most dire moments, to apologise directly to the audience for the play’s failings. She told us that the script had been partially lost in a “technological fault”, causing the gaping plot holes that the real writer presumably had not bothered to fill in. As an ill-contrived plot device attempting to blur the lines between theatre and reality, this was one of the worst I have seen. The second piece, I Will Paste Your Pictures On the Walls of the City, proved too much for my companion, and she fell asleep. This play, intended as an examination of the relationship between activism and violence, served only as a demonstration of how an unoriginal script can doom even the most enthusiastic of casts, as the six actors danced about the space to an aggressive soundtrack, endlessly repeating such banal revolutionary phrases as “we are the people”. After the interval, we were faced with the company’s devised piece, which, according to my programme, told the story of two people “connected over time and space by the actions of one night”. Whatever the story the actors believed they were telling, it did not make its way to the audience, as we had to endure a wordless and meaningless concoction of almost parodic dramatic clichés. If any of these three plays had an original point to make then we must have missed it, as the end of the show signalled for us only the sweet relief that the performance was finally over. I do not recommend.